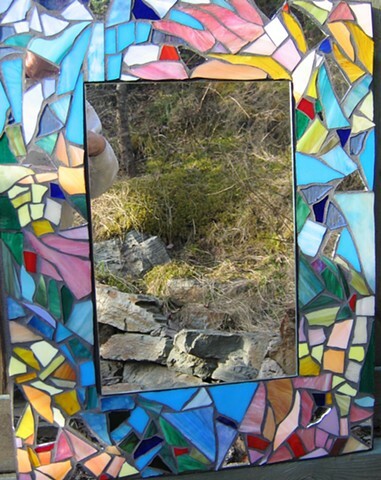 This was my very first mosaic--the one that got me "hooked". I made it in a workshop taught by Ilona Webster, then bought supplies and equipment. So much for learning to paint water colours, as I had planned. This is way more fun. Not for sale.